Take Back Control – Of our Lives, Our Freedom, Our Laws, Our Parliament, Our Borders, Our Jobs, Our Kids, Our Country. A Law above the Law. a law above the Law this 14 pages will shine a light on the darkness of our times. The problem with crooked Governments. They will always destroy. Read this special report and understand the depth of the corruption and TREASON, the Act of War (Britain >USA) that Britain enacted on Her Allie, USA. and here is the Solution! The English Constitution. England (and Britain) is a Constitutional Monarchy, then a democracy, democracy is secondary to our Constitution. 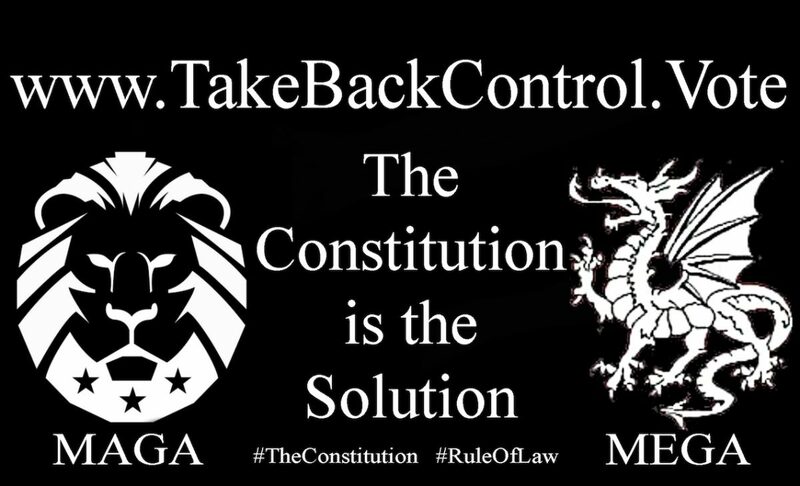 The White PenDragons are Constitutionalists. The Rule of Law, the Law of the Land. The White PenDragon was used on the “standard” or flag of King Alfred the Great, the First King to Bring England together as one Nation under God! There is an “impeachment process” of the Monarch via The Magna Carta 1215 Article 61. That process was followed in 2001 and we are now in lawful rebellion under our Constitutional Rights! This ancient law and custom were confirmed in Her Majesty Oaths both assession and coronation oath act 1688/9. This was reconfirmed by the declaration in the House of Commons on 20th July 1988 by Her Majesty and then again by the speaker of the House Betty Boothroyd in 1993. Both recorded in Hansard. A statute is the WILL of Parliament vs Common Law and the Constitution is the WILL of the people. Parliament may not legislate any “Statute” so as to cause rebellion. Parliament is NOT sovereign we ARE. When Parliament is dissolved Sovereignty is returned to the people and Her Majesty. England is the Mother of Common Law Jurisdiction, Common Law and the 12 Judges (Our Peers) cradle democracy in their hands (under oath). They have the God-given right by Natural Justice to void by their conscience and their opinion ANY Law. No statute can alter their rights to defend you and YOUR Liberty and Freedom. England, You will never walk alone!